Haitian Prime Minister Jack Guy Lafontant resigned Saturday amid calls for him to step down over his handling of a failed plan to raise fuel prices that set off a wave of deadly protests. [post_ads]Lafontant told Haiti's Chamber of Deputies that he sent President Jovenel Moise his resignation letter and the president had accepted it. Moise has not yet commented publicly. The prime minister's abrupt resignation came ahead of a vote on a motion of censure Lafontant, a first step toward asking that Moise name a new prime minister to form a Cabinet to handle the crisis. The prime minister is the second highest official in Haiti after the president. Lafontant was to answer questions about the July 6-8 riots that followed the government's attempt to raise fuel prices by up to 51 percent as part of an agreement with the International Monetary Fund. At least seven people were killed and dozens of businesses were looted during the unrest. 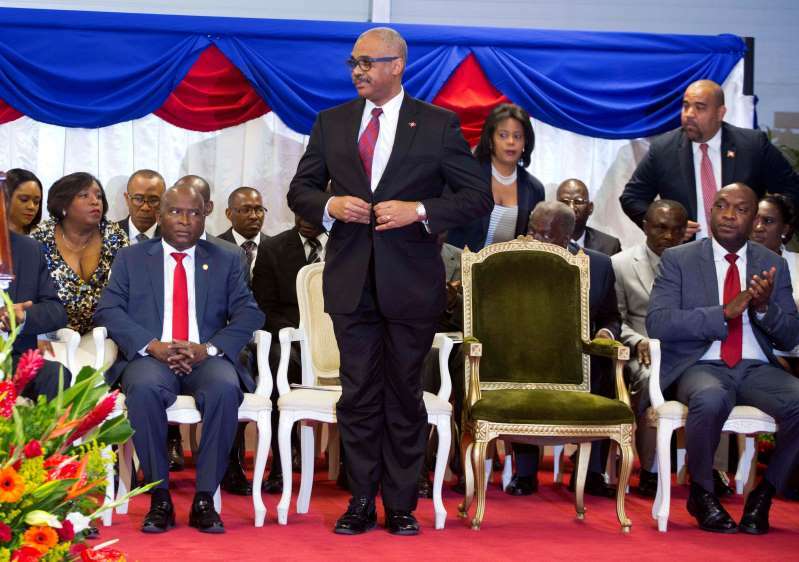 Instead, Lafontant (LA-FAH-TON) used the opportunity to announce his resignation, while in various parts of Haiti's small protests were held demanding the head of state step down. As the session began, chamber president Gary Bodaeu wrote on his Twitter account that the legislature "is at a crossroads in history; it must assume its responsibilities." He had earlier called the price hikes "untimely" and "inoperative." Lafontant (LA-FAH-TON) suspended the fuel prices increases after protests erupted last week but the disturbances continued and calls for the prime minister to resign grew, including from the opposition and some business groups. Lafontant, a 57-year-old doctor who took office in March 2017, had said the price hikes of 38 percent to 51 percent for gasoline, diesel and kerosene were needed for Haiti to balance its budget. Government officials agreed to reduce subsidies for fuel in February as part of an assistance package with the IMF. The agreement also included increased spending on social services and infrastructure and improved tax collection in an effort to modernize the economy of one of the poorest nations in the Western Hemisphere. Lafontant's replacement will be nominated by Moise and confirmed by the Senate.